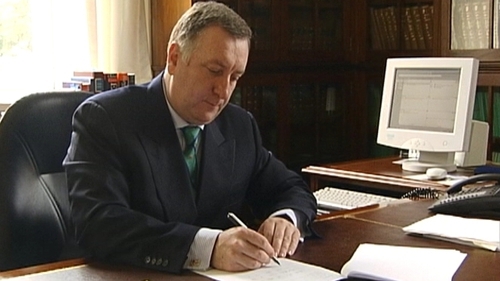 The death has taken place of former Attorney General Rory Brady SC. Mr Brady served as Attorney General from June 2002 to June 2007. In a statement, Taoiseach Brian Cowen said Mr Brady was one of the 'finest and most able barristers of his time'. 'As Attorney General, Rory Brady made a strong contribution to the Government in which he served,' Mr Cowen said. Former Taoiseach Bertie Ahern said Mr Brady 'was a great Dubliner who had a strong affinity with his native city. Mr Ahern added: 'He was a proud Irishman who has given this nation immense service. Mr Brady is survived by his wife and two daughters.